Hello everyone, my name is David Hardesty and I am currently in the middle of a short 4 week study abroad session here in Prague, Czech Republic. Much like the other posts I have read about trips abroad, mine began quite terribly. The first night I was here someone climbed through our dorm window and stole my laptop and my roommates phone. After that start I was sure this trip was a mistake, however things eventually turned around. After two days in Prague I took a one week trip to Amsterdam and after that things started to get much better. While in Amsterdam I learned how to navigate the preferred method of European transportation, the tram system. Being from Louisville I have never ridden any form of public transportation, I had always jumped in my car and driven myself wherever I wanted to go. Now I’m a pro at navigating public transportation even when I cannot read the language. I have seen some awesome things while in Europe, met some great people and have had a very enjoyable experience while I have been here. However, the culture shock we were warned about was very real. I can remember talking with my fian?ee about the school warning us about it and laughing at the notion. But I can attest it is quite shocking. Being immersed in a place where you do not hear English spoken, see any English signs or writing, and must adapt to a completely different social and cultural atmosphere can be quite a challenge, especially when you are all alone and do not have anybody to experience it with. Once everything set in and the homesickness subsided a bit (never fully going away though) things got much better. I would definitely recommend a study abroad trip to anyone that wanted to get out of their usual comfort zone and try something new and adventurous. I have learned a great deal about myself while I have been abroad and have experienced personal growth that I did not think possible at my age (we’ll just say I’m older than your typical college student). I have experienced things I never imagined I would, have seen things I have only seen on television or the internet, and have gained some extremely valuable global perspective and personal growth. 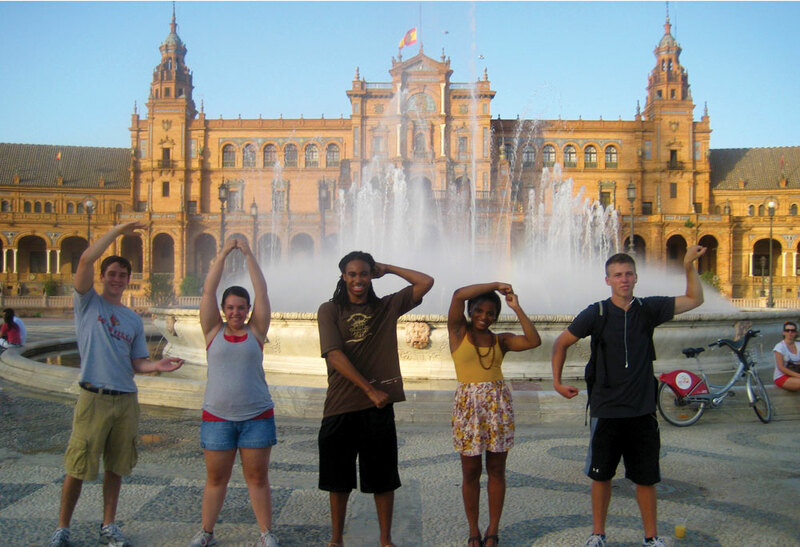 This entry was posted in Prague, Study Abroad by dmhard01. Bookmark the permalink.